The Washington State University Snohomish County Extension is sponsoring sessions of the popular apprentice level course in the Master Beekeeper Program in November and December. Developed and managed by the Washington State Beekeepers Association, the five-week course provides a thorough introduction to beekeeping for novice beekeepers as well as a comprehensive refresher for experienced apiculturists. The session runs on five Monday evenings, starting Nov. 6, 2017 from 6:30 p.m. to 9:30 p.m. in McCollum Park at WSU Snohomish County Extension’s Cougar Auditorium, 600 128th ST SE, Everett. A spring session will also be offered in late February 2018. Designed to build basic beekeeping skills, topics covered include bee biology, equipment, seasonal management, identification and management of pests and diseases, as well as honey harvest. 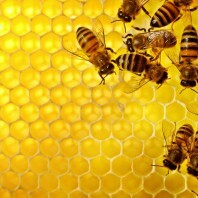 The overall focus will hone in on the unique challenges and benefits to beekeeping in Western Washington. Participants completing the five-week course and passing the optional Washington State Apprentice Beekeeper level exam (open book test) will receive a certificate towards the Journey and Master Beekeeper levels of training along with an “Apprentice Master Beekeeper” patch. Each session is taught by local Journeyman Beekeeper and WSU Snohomish County Extension entomologist Dave Pehling. As a beekeeper and entomoligist, Pehling’s unique skills and knowledge provide students with a localized and practical approach to keeping healthy bees. Class size is limited and always fills quickly. There are just a few seats left for the fall series. Cost for the five-week course is $100 per person. Register online at MasterBeekeeper.eventbrite.com. For more information on the course, contact Dave Pehling, pehling@wsu.edu, (425) 357-6019. For registration information, contact Kate Ryan, kate.ryan@wsu.edu, (425) 357-6024. The WSU Skagit County Extension Master Gardener Program is accepting applications for their 2018 Master Gardener Annual Training. The application deadline has been extended this month. Master Gardener volunteer educators will receive WSU computer-based course work along with 12 weeks of classes for hands-on activities in home horticulture, integrated pest management, and plant problem diagnosis from WSU specialists and other experts. The Master Gardener on-line coursework with weekly assignments is done on the student’s own schedule, with in-person classes one-day-a-week beginning January 9. The cost of the Master Gardener training is $400. A refund of $100 will be given to those Master Gardener interns completing their 60 hours of volunteer work in their first year. Every following year, 25 volunteer hours are required to remain in the Master Gardener program. Master Gardener volunteers provide the Skagit County community with unbiased, research-based information relating to home horticulture through approved Master Gardener projects. To request an application, call (360) 428-4270, ext. 0; go on-line at http://extension.wsu.edu/skagit/mg/apply/. The WSU Whatcom County Master Gardener program will not be offering the annual basic training in 2018. Instead, program leaders will use the time to strengthen and expand services, and plan ways to provide more support. The Whatcom program has over 125 current Master Gardeners volunteers, and will continue outreach efforts, such as the Diagnostic Plant Clinic and Demo Gardens. If you have questions, or want to be added to the list for the 2019 training, contact Beth Chisholm at (360) 778-5811 or beth.chisholm@wsu.edu.